Gumstix Pi Compute Boards are Raspberry Pi CM3 Compatible | Gumstix, Inc.
Is the Raspberry Pi CM3 compatible with Gumstix? To verify and test this, last Friday, Gumstix Guru spent some time tinkering with the RPi CM3 with our Gumstix Pi Compute Dev Board. The result of his test shows that our RPi expansion boards are Raspberry Pi CM3 Compatible. Be sure to read his full post, Gumstix Pi Compute Boards are CM3-Ready, to learn how and what he tested! Gumstix Pi Compute Dev Board with RPi CM3 during Gumstix Guru’s testing! 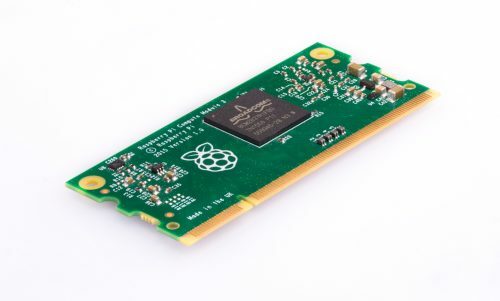 The Gumstix Pi Compute Dev board was designed in Geppetto using the RPi COM Connector. 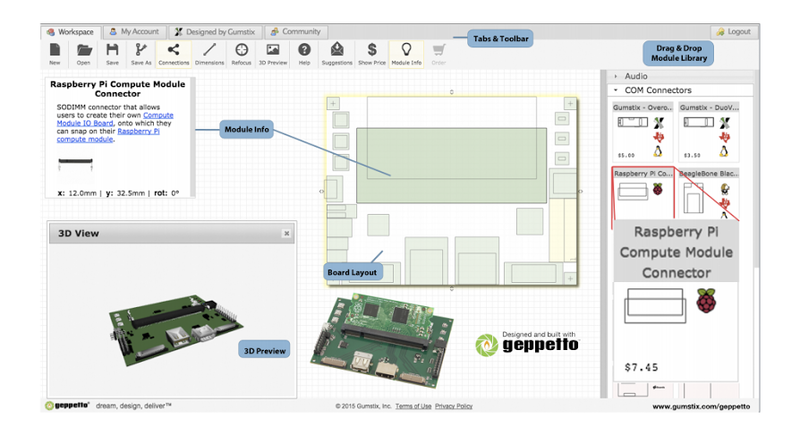 Hence, if you are looking at creating a custom carrier board or expansion board for your next IoT project and want it to be powered by the RPi CM3, be sure to give Geppetto a try! We look forward to working with you in building your next RPi project. If you have any questions or concerns, please don’t hesitate to send us an email at sales@gumstix.com!